Dear brothers and sisters in Christ, on this day each and every one of us are reminded of the need for us to dedicate ourselves to the Lord wholeheartedly, and be ready to commit ourselves to His path. On this day, the day after Ash Wednesday, we continue to uphold our resolve to live through this blessed season of Lent, spending our time to be closer to God, carrying our crosses with Him. In the first reading today from the Book of Deuteronomy, God through His servant Moses communicated clearly to the people the choice that they had before them, as they went through their forty years of journey in the desert while waiting to enter into the land promised to them by God. Many of them had disobeyed the Lord and refused to follow His ways and His commandments, preferring to follow their own, sinful ways, and hardening their hearts and minds against Him. And thus, through this we are reminded that we too have been given a choice, that is either for us to live in God’s way and obey His laws and commandments, or for us to abandon Him and turn instead to the ways of the world that is full of temptations and are seemingly easier and less challenging for us. We are presented with the choice between the seemingly tougher and less appealing way that God showed us, and the seemingly more enjoyable path of this world. We are no strangers to the alternative path shown to us by the world, for indeed, we are surrounded by many of the temptations. At the time of the Israelites in the days of the Exodus, the people of Israel constantly grumbled before God and before Moses, complaining that they were hungry without good food, or thirsty without water and good drinks to enjoy. They refused to budge even after they have seen many of the miraculous deeds God performed before them through Moses. They desired to return to Egypt, saying that it was better for them to go back to Egypt and suffer again under slavery, as they would at least be able to eat decently and not having to worry about dying in the desert without food or drink. They complained and refused to comply to the Lord’s will, just because they had little faith in God. If only they know just how much God loved each and every one of them, as He gave them everything they needed, and yet even those were not enough for those stubborn people. Brothers and sisters in Christ, we can see the parallel between their examples and our own lives in this present world today. The path of the world seems to be easier to us, and it seems to be less arduous, less challenging and more promising to us, as this is the effort by the devil and all of his forces, trying to tempt us into sin, into disobedience against God, by presenting all sorts of wicked temptations that go straight into our pride and ego, our desires and our hearts’ greed. Some of us may even think that just because we are Christians, then we should expect to have good lives full of graces and blessings, that we do not have to suffer but instead, with greater faith comes greater blessings in life, in physical and material terms. But this is the false ‘gospel of prosperity’ that is unfortunately adopted by some of our separated brethren in faith. We must not fall into that same trap of the devil, who tries to tempt us with worldly temptations. The Lord made it clear, in our Gospel passage today, that He Himself was to suffer grievously at the hands of His enemies. This was fulfilled when He went through His Passion, suffering persecution and rejection, brutal pain and sufferings, as He was beaten and spat on, ridiculed and made to bear a heavy cross, stripped and nailed to that cross, and made to suffer and die for the sake of all of us mankind. 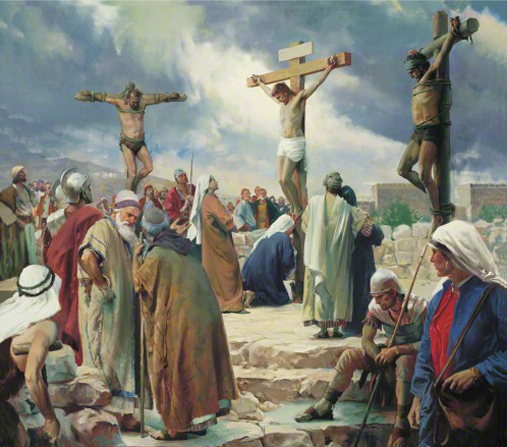 Brothers and sisters in Christ, that is the suffering that our Lord had to endure, and all of that is caused by His love for us, which is so great that He was willing to even endure those painful torture and experience just so that by His selfless and loving sacrifice, we may be saved from certain destruction. And He Himself said that if we are to be His disciples, then we must follow Him and have a share in the cross that He bore out of love for us. It does not mean that we will suffer forever. Instead, our suffering now on earth is just a temporary prelude of the greater glory and joy that is to come. God has promised that all those who are faithful to Him will not be disappointed, for in the end of the journey it is nothing less than an eternity of glory and true happiness being in the presence of God forever, where we will not suffer any longer, and all that we need are no longer there, for God alone is enough for everything. The devil knows this, and he does not want us to be saved. And that is why he is so hard at work, trying to prevent us from finding our way towards Him. He is always at work, trying to lure us away from the right path, and turn us away from righteousness and faith. In fact, we will realise that frequently, we will have to go up even against our friends and those who are dear to us, and we have to make often difficult choices, to choose between obeying God and suffer, or to obey the devil instead and receive satisfaction from him. Today, we celebrate the feast of two famous martyrs of the Church, two courageous women who defended their faith in God to the very end with great dedication and courage. St. Perpetua was a noblewoman while St. Felicity was a slavewoman, both of whom shared the Christian faith. 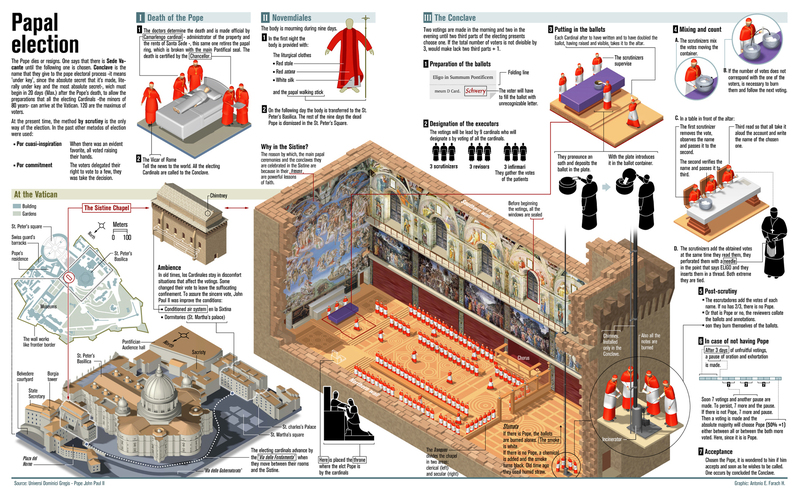 At that time, during the height of the Roman Empire, Christians have been harassed and persecuted again and again by the authorities, and many had to practice their faith in secret. But eventually some were found out to be Christians, and put in prison and made to suffer with the hope that they would abandon their faith in God and sought safety and good assurance in life for themselves. Some did fall to the temptations or yielded to the strong pressures and abandoned their faith, but many remained firm in their faith in God, such as St. Perpetua and St. Felicity. These two women were firm in their conviction to remain faithful to God. Having endured much suffering and pain, opposition and challenges, even from those who were close to them, St. Perpetua, who encountered great challenges from her family, who wanted her to recant her faith, as well as St. Felicity, who suffered in prison while being pregnant with a baby, both of them chose to remain true to their faith, and died as courageous martyrs and examples of true faith and dedication to God. Brothers and sisters in Christ, today all of us are called to look upon the examples set before us by the holy saints and martyrs of God, particularly that of St. Perpetua and St. Felicity whose feast day we commemorate today. Are we able to make the same commitment and decision as they have done? They carried together the cross of Christ and endured the grievous sufferings just as the Lord had suffered, with the hope of eternal glory and salvation in the end of their earthly journey. Let us all make good use of this season of Lent to reorientate ourselves and reorder our lives, so that from this moment onwards, we do not live any longer for ourselves, but rather, to serve the greater purpose of God, and to obey Him in all things, standing up to Him and remaining faithful to Him despite the challenges we may encounter in our daily lives. Let us all remain true to Him, and love Him ever more as we pass through this blessed Lent. May God be with us always, now and forevermore. Amen. Jesus went with him, and many people followed, pressing from every side. Among the crowd was a woman, who had suffered from bleeding for twelve years. She had suffered a lot at the hands of many doctors, but instead of getting better, she was worse. Because she had heard about Jesus, this woman came up behind Him and touched His cloak, thinking, “If I just touch His clothing, I shall get well.” Her flow of blood dried up at once, and she felt in her body that she was healed of her complaint. Taking her by the hand, He said to her, “Talitha, kumi!” which means, “Little girl, get up!” The girl got up at once and began to walk around. (She was twelve years old). The parents were amazed, greatly amazed. Jesus strictly ordered them not to let anyone know about it; and He told them to give her something to eat. I will fulfil my vows before all who revere You. The lowly will eat and be satisfied. Those who seek the Lord will praise Him. May your hearts live forever! The whole earth will acknowledge and turn to the Lord; the families of nations will worship Him. Before Him all those who rest in the earth will bow down, all who go down to the dust.